C'est dans cette ville toscane que les concepts urbanistiques de la Renaissance furent appliqués pour la première fois, à la suite de la décision prise par le pape Pie II, en 1459, de transformer sa ville natale et de confier cette œuvre à Bernardo Rossellino. Celui-ci mit en pratique les principes de son maître Leon Battista Alberti et construisit l'extraordinaire place Pie-II, autour de laquelle s'élèvent le palais Piccolomini, le palais Borgia et la cathédrale à l'aspect purement Renaissance mais dont l'intérieur s'inspire du gothique tardif des églises d'Allemagne du Sud. في هذه المدينة التوسكانية طُبِّقت مفاهيم التنظيم الحضري العائدة لعصر النهضة للمرة الأولى، إثر قرار اتخذه البابا بيوس الثاني في العام 1459 والقاضي بتحويل المدينة مسقط رأسه وتكليف برناردو روسّيلّينو هذه المهمة. فطبّق هذا الأخير مبادئ معلّمه ليون باتيستا ألبرتي وبنى ساحة بيوس الثاني الرائعة التي ارتفع حولها قصر بيكولوميني وقصر بورجيا والكاتدرائية بالمظهر الخاص بالنهضة ولكن بالشكل الداخلي المستوحى من القوطية المتأخرة لكنائس جنوب ألمانيا. Именно в этом тосканском городе, после того, как в 1459 г. папа Пий II решил преобразить место своего рождения, впервые были применены на практике градостроительные концепции Возрождения. Он выбрал архитектора Бернардо Росселино, который применил принципы своего учителя Леона Баттиста Алберти. Это новое видение городского пространства было реализовано в превосходной площади, известной как Пьяцца-Пио-Секундо, и в сооружениях вокруг нее: дворце Пикколомини, дворце Борджиа и кафедральном соборе с внешней отделкой в стиле чистого Возрождения и интерьером в стиле позднеготических церквей юга Германии. Fue en esta ciudad toscana donde se aplicaron por primera vez los conceptos urbanísticos del Renacimiento en 1459, cuando el papa Pío II decidió transformar su ciudad natal y confiar la ejecución de esta tarea a Bernardo Rossellino. Poniendo en práctica los principios de su maestro Leon Battista Alberti, este arquitecto construyó la plaza de Pio II, en la que se alzan los palacios de los Piccolomini y los Borgia, así como la catedral. El exterior de este templo es puramente renacentista, mientras que su interior se inspira en el gótico tardío de las iglesias del sur de Alemania. In deze Toscaanse stad werden voor het eerst de Renaissance concepten voor stedenbouw in praktijk gebracht, nadat paus Pius II in 1459 besloot om het uiterlijk van zijn geboorteplaats te transformeren. Hij koos hiervoor architect Bernardo Rossellino uit, die de principes toepaste van zijn mentor Leon Battista Alberti. De nieuwe visie van stedelijke ruimte werd gerealiseerd in het prachtige plein, bekend als het Piazza Pio II, en de gebouwen eromheen: het Piccolomini paleis, het Borgia paleis en de kathedraal met haar zuivere renaissance exterieur en een interieur in de laatgotische stijl van de Zuid-Duitse kerken. Pienza, located on the crest of a hill overlooking the Val d'Orcia, 53 km south-east of Siena, was established in the medieval period as Corsignano. The town was renamed and redesigned in the late 15th century by Pope Pius II. Born in this Tuscan town, Enea Silvio Piccolomini became a leading humanist before being elected as Pope in 1458.
author of the first architectural treatise of the Renaissance. The Pope was further influenced by German philosopher Cardinal Nicolà Cusano and the German Gothic tradition. This is evidenced in the interior of the Pienza Cathedral, typical of the late Gothic style of southern German churches while the exterior is pure Renaissance. The bell tower blends Gothic and Renaissance forms. The new vision of urban space was realized in the superb trapezoidal square known as Piazza Pio II. The construction of new major buildings around the square began in 1459 and included the cathedral as well as Piccolomini Palace, the Borgia Palace (or Episcopal Palace), the Presbytery, the Town Hall, and the Ammannati Palace. While the medieval urban plan was largely respected, a new main axis road, Corso Rosselino, was built to connect the two main gates in the medieval wall, which was also reconstructed during this period. Pius II’s plan, to develop the town as his summer court, involved the construction or reconstruction of approximately 40 buildings, public and private, which further transformed the medieval town into a creation of the Italian Renaissance. These included new buildings for the cardinals in the papal retinue as well as 12 new houses constructed for the general populous near the walls and Porta al Giglio. As the first application of the Renaissance Humanist concept of urban design, the town occupies a seminal position in the development of the concept of the planned "ideal town" and plays a significant role in subsequent urban development in Italy and beyond. Criterion (i): The application of the principle of the Renaissance “ideal city” in Pienza, and in particular in the group of buildings around the central square, resulted in a masterpiece of human creative genius. Criterion (ii): The Historic Centre of Pienza, as the first application of the Renaissance humanist concept of urban design, was to play a significant role in subsequent urban development in Italy and beyond. Criterion (iv): The buildings surrounding Pienza’s central square are an outstanding example of Humanist Renaissance design. The boundary of the site, defined by its original wall, includes all the essential elements that contribute to the justification of its Outstanding Universal Value. The ensemble created by Pius II has maintained its structural and visual integrity remaining essentially intact in all its components. Threats to the historic centre are primarily due to the influx of tourists, which requires an improved tourist management system. Moreover, rising property values create a risk of depopulation that would impact the town’s social cohesion. The general maintenance of the historic buildings in the core is, in part, focused on geological problems. The instability of the soil, particularly in the piazza, has caused ongoing structural problems to the cathedral since its construction. The Historic Centre of Pienza has retained authenticity in terms of design, materials, workmanship, and setting. It is still possible to easily read the medieval urban structure as well as the Renaissance intervention of Rossellino, as they have been preserved in the street plan, architecture and details, such as the central square’s herringbone paving edged with travertine. All works, performed in accordance with the Charters of Restoration, have favoured the maintenance of materials of historic structures. Like other historic towns in the region, Pienza has retained its setting as it remains within its historic boundaries and, along with the surrounding agricultural landscape; it has not been subject to adverse industrial or infrastructure developments. Property owners within the historic town include a variety of public, private, local organizations and ecclesiastical bodies. Restoration and conservation programmes have been carried out on historic buildings since the early 20th century. Properties with a historic, archaeological and ethnographic value are subject to the ex Legge 1939/1089, now merged in the Decree n.42/04 “Code on cultural heritage and landscape”, which sets specific regulations and procedures for intervention on the property. The local authority is responsible for approvals relating to interventions but these are subject to specific safeguarding measures authorized by the relevant Soprintendenza (peripheral office of the Ministry for Cultural Heritage and Activities). The Soprintendenza can deny interventions for conservation reasons or require the interventions to be limited or restricted in order to protect the historic resource. Conservation measures in the historic centre of Pienza are fully identified in the Municipal General Plan. In addition, several properties are subjected to further legislative measures contained in the "Census of operating municipal heritage building" in which specific categories of assistance are identified. Finally, a new Management Plan has outlined five strategic projects: protection of the site; research and development of the humanistic character of the city; enhancement of the social dimension and use of the centre; recovery of unique architectural features and landscaping of the site; and proposal for compatible tourist and socio-economic activities. 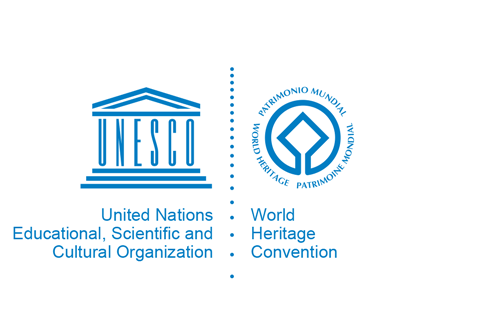 Implementation is divided into three phases: the first is dedicated to knowledge, to build public awareness of the particular characteristics of the site; the second establishes strategies aimed to enhance awareness and promotion of the site; and the third concerns control, management and development of potential sites. The management plan addresses guidelines for the conservation of architectural and urban character, without forgetting the cultural relations and social dimension of the city and the connections with the surrounding landscape, according to a strategy for exploiting the particularities and dynamics of strengthening the image of the city. A steering committee has been established by the local offices of the Ministry for Cultural Heritage and Activities, the Province of Siena and the town of Pienza, with the objective of updating and implementing the property’s Management Plan.